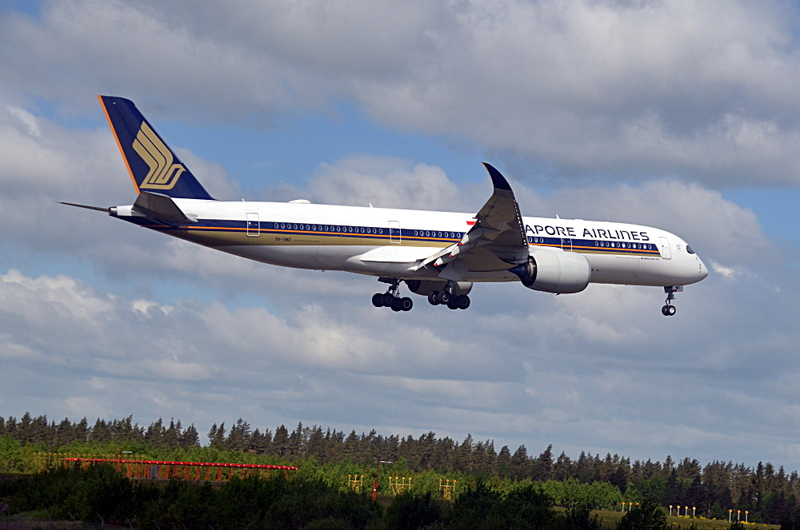 A few months ago, Singapore Airlines launched a route Singapore Changi-Moscow Domodedovo-Stockholm Arlanda on board brand new Airbus A350-900. This is flight SQ362, 9V-SMD, a plane that was delivered to Singapore in July 2016, on final approach to Arlanda’s runway 01R. This airplane actually carries the same registration as a Boeing 747-412 that flew for Singapore between 1989-1999 and 2001-2003.